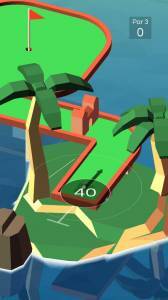 This is a free-to-play mini-golf game that is in the crazy rather than simulation end of the spectrum and features some intrigingly designed holes that you will find challenging. Although Vista Golf is not a deep golfing experience it is entertaining and fun to play. 1598What Game Are You Currently Playing?